At-risk youth and youth gangs. Illegal gun ownership and weapons. 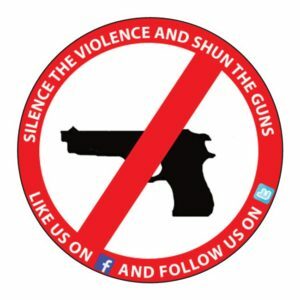 The Silence the Violence and Shun the Guns sticker has been seen in a growing number of public, private places and worn. A consistent conversation ultimately leads to results. Visit the main Facebook page: www.facebook.com/silencetheviolenceandshuntheguns/ or the Canadian Facebook page: www.facebook.com/silencetheviolenceandshunthegunscanada/ to see the entire line of items. Buy here!